PPT linear flow 4 concepts2 PowerPoint Templates-This diagram helps you to analyze all the connected ideas and also can be used to show aspects of an issue. This image identifies the concept of stages in process. This attractive image makes your presentations professional and interactive. Deliver amazing presentations to mesmerize your audience.-PPT linear flow 4 concepts2 PowerPoint Templates-Abstract, Arrow, Blank, Business, Chart, Circular, Circulation, 4Concepts, Conceptual, Design, Diagram, Executive, Icon, Idea, Illustration, Management, Model, Numbers, Organization, Procedure, Process, Progression, Resource, Sequence, Sequential, Stages, Steps, Strategy Make education entertaining with our Ppt Linear Flow 4 Concepts2 PowerPoint Templates. Add color to even the dullest activity. Logically arrive at the essential aspects. 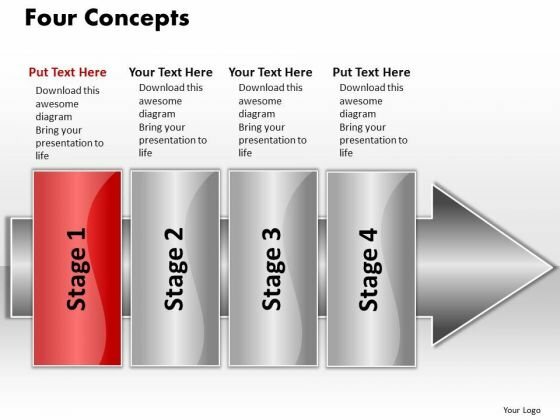 Discern the key factors with our Ppt Linear Flow 4 Concepts2 PowerPoint Templates.